A Scrapbook of Images from the Kyle, Mallaig and Highland Lines. TWENTY years after it was lost on Highland railways steam returned, firts on the Mallaig line and then to Kyle and even, occassionally to the Far North. 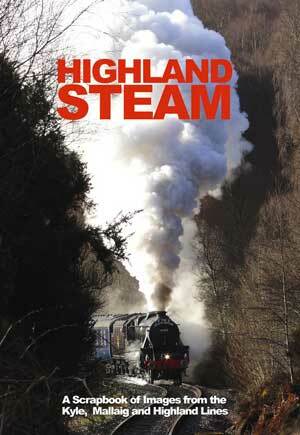 THis 160 page large format paperback is crammed full of dramatic shots of restored steam in spectacular Highland settings.